Soaring Dance Theatre is a dance studio Located in Monroe, New York, and open to the residents of Highland Mills, Middletown, and the surrounding areas in Orange County. Soaring Dance Theatre provides an atmosphere of expressiveness and technical growth punctuated by laughter and the formation of new friendships. Classes are taught by highly qualified teaching staff. Unlike other dance studios, we DO NOT charge registration fees. Please contact the studio to learn more about available discounts and offers. 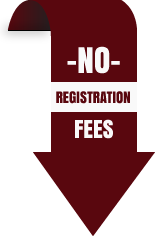 Can't come to one of the open registration sessions? Contact us and we will set up an appointment with you. Come share the joy of dance with us!! Contact us today about current available openings. Now accepting students for Fall 2018. We always accept new students interested in our classes. Call or fill out our web form to make a registration appointment. Please note that piano lesson times are filling up quickly. We are always accepting new piano students, no matter the time of year! Contact us today to learn more about enrolling in our theatre courses! At Soaring Dance Theatre creative potential is realized and artistry and expression is nurtured. Come and be part of a beautiful experience! Have questions about any of our classes? Contact us today! We are happy to help!